NEW YORK, N.Y. -- Attorney General Barbara D. Underwood called on the Federal Energy Regulatory Commission ("FERC") to make urgently needed reforms to the current federal natural gas pipeline approval process. In comments filed with the Commission, the Attorney General argues that – contrary to the National Gas Act and National Environmental Policy Act – current FERC policy fails to protect the rights of landowners that may be subject to eminent domain, and deprives those seeking a court review of FERC decisions of their day in court before construction begins. Attorney General Underwood is also urging reforms to FERC's decision-making related to proposed pipelines to ensure that the costs and benefits of pipeline to the public – rather than just to the pipeline developer – are given greater consideration. 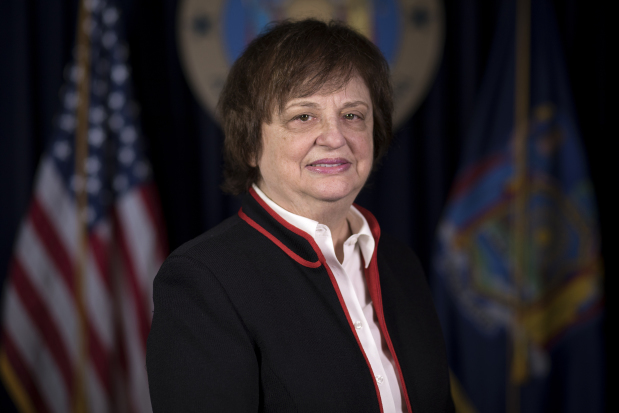 "The current FERC pipeline approval process overwhelmingly favors corporations over New Yorkers," said Attorney General Underwood. "FERC needs to reform the process and level the playing field, so that our environment and the rights of landowners no longer take a backseat to pipeline developers. My office will continue to fight to ensure FERC fully complies with federal law." In her comments, Attorney General Underwood takes aim at FERC's current approval process that enables pipeline companies to condemn private property through eminent domain before obtaining state environmental permits necessary for the project to proceed. The Attorney General urges FERC to end this backwards and damaging policy, and refrain from issuing its final approvals for a project until all of the state permits necessary for project construction are obtained. The problem with FERC's current process is illustrated by the experiences of landowners impacted by the proposed Constitution Pipeline. In that proceeding, FERC approved the pipeline, but only on the condition that the company obtains all necessary New York State approvals. Upon obtaining this "conditional approval" from FERC, the pipeline developers proceeded to exercise eminent domain to obtain the pipeline right-of-way from New York landowners. However, the New York State Department of Environmental Conservation ultimately denied a necessary environmental permit for the pipeline, so currently the pipeline cannot be constructed. Many New York landowners have already had their land taken and significant tree cutting and clearing has taken place along the pipeline route. Landowners along the path of two other FERC-approved projects – the National Fuel Gas's "Northern Access 2016" project and Millennium Pipeline Company's "Valley Lateral Project" – also had their land condemned through eminent domain by the pipeline companies prior to their projects obtaining necessary state permits. Attorney General Underwood's comments also charge that FERC's current practice of delaying reconsideration of its approvals of pipeline projects runs afoul of federal law by depriving landowners and others the opportunity to have a court review FERC approvals before pipeline construction begins. Attorney General Underwood argues that Congress, in passing the Natural Gas Act, directed FERC to act on a rehearing request within 30 days so a court review of FERC's decision can proceed in a timely manner. Yet FERC often extends rehearings on pipeline project approvals by months or longer, allowing pipelines to be substantially constructed or even completed before a court can even review FERC's decision. For example, in May 2016, landowners in Central New York opposed proposed expansions of several natural gas compressor stations as part of Dominion Transmission Inc.'s "New Market Project." The landowners asked FERC to reconsider its approval of the project out of concerns that FERC's environmental review did not adequately consider adverse health, noise, and safety impacts on the surrounding community. FERC did not act on the rehearing request until nearly two years later – May 2018 – when it denied the request. Meanwhile, during that same time period, FERC granted the company permission to begin constructing the compressor stations and those facilities were placed into service. The Attorney General calls on FERC to comply with the plain language of the Natural Gas Act, and grant or deny a rehearing request within 30 days so that parties can seek court review of its decision before construction begins or is substantially completed. Attorney General Underwood is also urging FERC to reform how it evaluates the need for new pipelines, and how FERC weighs the environmental and economic harms to New Yorkers against the interests of pipeline developers. Currently, FERC relies almost solely on gas contracts between the pipeline company and subscribers to demonstrate the need for the project, rather than taking a more comprehensive view of whether there is a regional need for, and the impacts of and alternatives to, building new pipelines consistent with state climate and renewable energy policies. The Attorney General's comments also adopt and incorporate the recommendations developed by the Attorney General of Massachusetts and joined by various Attorneys General in advocating for those reforms to its decision-making process to comply with the Natural Gas Act and National Environmental Policy Act. On April 19, 2018, FERC issued a Notice of Inquiry inviting comments on whether and how it should revise its policy regarding the certification of new natural gas transportation facilities – such as pipelines and compressor stations – pursuant to the Natural Gas Act. This matter is being handled for Attorney General Underwood by Assistant Attorney General Brian Lusignan and Policy Analyst Jeremy Magliaro, under the supervision of Deputy Bureau Chief Lisa M. Burianek. The Environmental Protection Bureau is led by Bureau Chief Lemuel M. Srolovic and is part of the Division of Social Justice, which is led by Executive Deputy Attorney General for Social Justice Matthew Colangelo.